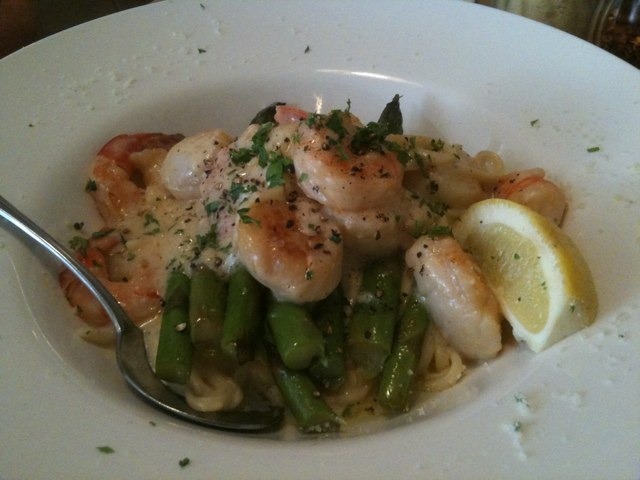 Linguini w seas scallops, tiger shrimp, local fresh asparagus, sherry cream sauce drizzled with white truffel oil. Baroness says “best she’s ever had.” paired very well with Viewpointe Sauvignon Blanc. Previous Previous post: Chicken penne with snow peas at the Whistle Stop. Clara, Steve & Mamma delight us with a delicious meal & engaging conversation. Viewpointe Sauvignon Blanc pairs perfect.